Catherine secured a Westminster Hall debate in Parliament earlier today, entitled ‘Supporting and safeguarding adults with learning disabilities’, following the brutal murder of Lee Irving in Newcastle and the findings of the Safeguarding Adults Review held into his case. 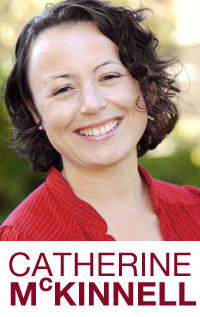 Catherine’s speech can be read below, and a full transcript of the debate – including the Minister’s response – can be read here. You can also watch the debate online here. That this House has considered supporting and safeguarding adults with learning disabilities. It is a pleasure to serve under your chairmanship, Mr Wilson, as we consider this hugely important issue. How we better support and safeguard adults with learning disabilities is a subject on which I have been seeking to secure a debate for some time, following the most appalling case involving a young man with learning disabilities from my constituency and his violent death back in June 2015. The circumstances leading up to Lee Irving’s killing have been the subject of a Safeguarding Adults Review which was published in June 2017, following the trial and sentencing of those responsible which finally concluded in December 2016. I will return to Lee’s case and the outcome of the review in more depth, but first I will briefly provide some context to the debate. “A learning disability is a reduced intellectual ability and difficulty with everyday activities—for example household tasks, socialising or managing money—which affects someone for their whole life. I saw that for myself in Dinnington in my constituency when I visited the home of the then 18-year-old Joe to hear about how he was being supported by the national charity, United Response, during the transition from childhood to adulthood. That involved providing Joe with tailored assistance in a supported housing setting to help master tasks such as managing money, basic cooking skills, cleaning the house, keeping up with the laundry, managing his coursework on his construction course at the local mainstream college, and being able to use public transport safely. One of the concerns that Joe raised with me during that visit was his disappointment that he had been prevented from securing an apprenticeship because he was unable to achieve the required grade C in Maths and English at GCSE. I am pleased, as one of the co-chairs of the All-Party Parliamentary Group on Apprenticeships, that that requirement has recently been lifted for people with learning disabilities, following a review conducted by the hon. Member for Blackpool North and Cleveleys (Paul Maynard). I am also regularly lobbied by constituents with learning disabilities who, with the support and encouragement of the Newcastle-based charity Better Days, are able to send me easy-read letters about issues of concern, such as the lessons to be learned from the independent review of deaths of people with a learning disability conducted following the tragic death of Connor Sparrowhawk, or the Government’s decision no longer to provide funding to the National Forum of People with Learning Disabilities, which meant it closed in March 2017, having been operational since 2001. There is a variety of good support out there, but we all know that many people with learning disabilities, and their families and carers, will face a series of enormous challenges, barriers and indeed discrimination throughout their lives, all of which inevitably puts a great deal of strain on family relationships. What do those barriers involve for people with learning disabilities? Mencap highlights that children with special educational needs are twice as likely as other children to be bullied regularly; 40% of disabled children live in poverty; and 75% of GPs have received no training to help them treat people with a learning disability. The House of Commons Library has noted the evidence that people with a learning disability experience inequalities in healthcare and the fact that, on average, men with a learning disability die 13 years sooner and women with a learning disability 20 years sooner than those without learning disabilities. Learning Disability Today has reported on a survey that found that almost two thirds of parents of children with learning disabilities said that they missed social engagements in the past year due to the fear of how other people would react to them; one in four young people with a learning disability had been bullied by members of the public at nightclubs or concerts; and only 30% of people would feel comfortable sitting next to someone with a mild learning disability at a show or a concert. John Howell MP (Con, Henley): I hear what the hon. Lady is saying about GPs. Does she think that it would be useful if training were made available to MPs and their staff to deal with such situations? Catherine McKinnell: That is an interesting suggestion. As a constituency MP, I work closely with the organisations I have mentioned so that I may correspond with and represent people with learning disabilities. There are local solutions and, potentially, national ways to support MPs. That is a good suggestion to ensure that those voices are heard in Parliament, and the intention of this debate is very much to give voice to some of the concerns. I am sure that other hon. Members are present for the very same reason. The issues that I have outlined are just some of the frankly depressing ones faced by people with learning disabilities. Such issues were commented on by Mencap in its response to the Equality and Human Rights Commission report, “Being disabled in Britain: a journey less equal”, which was published earlier this year. “Rather than move forwards in the past 20 years this report shows how inadequate action and a constant stream of cuts have condemned disabled people to a life of poverty and inequality. One challenge facing people with learning disabilities and their families is of course being able to access the right social care support at a time when adult social care budgets are at breaking point after years of punitive cuts to local authority funding since 2010, combined with rising cost pressures. The Local Government Association outlines that some 127,725 adults in England under the age of 65 were receiving long-term social care from their local council for a learning disability in 2015-16, meaning that about one third of councils’ annual social care spending, or approximately £5 billion, is used to support adults with learning disabilities. The LGA also highlights, however, that the number of adults with a learning disability needing social care is set to rise by 3% a year, piling further pressure on local authority finances. Overall, councils face a £2.3 billion shortage in funding by 2020. I therefore strongly urge the Chancellor to address this issue next month as part of his Autumn Budget, as well as the ongoing and serious concerns about the potential historic and future costs associated with sleep-ins, following the change in Government guidance on them, which have significant implications for the future provision of support to adults with learning disabilities. Barbara Keeley MP (Lab, Worsley and Eccles South): My hon. Friend is making a valiant attempt. This is a very difficult subject and she is talking about a very distressing and tragic case. To go back to the point about greater public awareness, I have been a Member for 12 years and have certainly never been offered any training about learning disabilities. There is so much to know and she has just given us a useful range of facts. I encourage the Minister to take away what my hon. Friend has just raised as things we should all know. 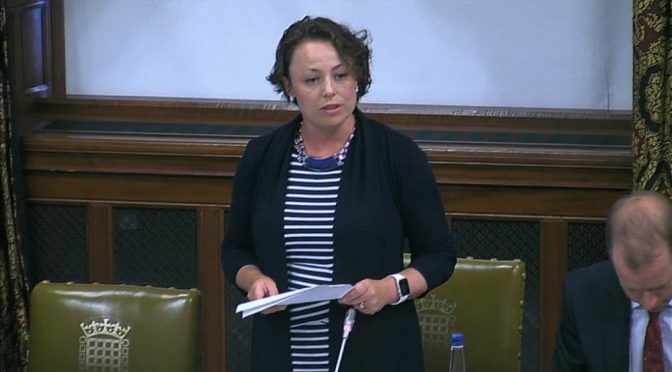 Catherine McKinnell: I thank my hon. Friend for her intervention. It is hard to imagine a more harrowing and disturbing case than that of Lee Irving. My thoughts remain very much with Lee’s family, particularly his mother, Bev, who I know is determined to ensure that something positive comes of her son’s death. I am sorry; I must do this subject the justice of staying composed. I am particularly conscious that Lee’s mother is watching this debate online in Newcastle and that having to relive what happened to her son clearly will always be upsetting. However, it is important that right hon. and hon. Members appreciate the gravity of this case. Lee was a 24-year-old vulnerable young man with learning disabilities from the West Denton area of my constituency, who was tragically murdered in 2015. In the months leading up to his death, he was living on and off—perhaps existing would be a better word—with a group of people he had befriended and trusted, at their home in the Kenton Bar area of Newcastle. During that time, he was the victim of sustained abuse and exploitation. Lee’s mother, Bev, had reported him missing on three occasions in the weeks before his death, and indeed had alerted the authorities to where he was staying and of her serious concerns about Lee’s safety, given the previous behaviour of those individuals towards her son. Tragically, Lee’s badly beaten body was found on 6 June 2015, dumped on a grass bank near the A1 in Newcastle, not far from the house he had been occupying with those who were accused of his murder. The cause of Lee’s death was given as respiratory failure due to multiple severe injuries that were inflicted upon him at the house in Kenton Bar between 28 May and 5 June 2015. The injuries included fractures to his nose and jaw, the fracture of 24 ribs and damage to underlying organs, after he had been drugged with a combination of morphine, Valium and buprenorphine—medication used by heroin addicts—which enabled his attackers to conduct sustained physical beatings against him. The four people responsible for Lee’s death also prevented him from receiving the urgent medical attention that he clearly required on several occasions. That absolutely must be the case. Despite those assessments, no safeguarding alert was raised by the NPS about Lee Irving during its interaction with him in 2011 and 2012. An assessment carried out in 2010—five years before Lee’s death—under the Mental Capacity Act 2005 confirmed that Lee’s overall reasoning and thinking abilities were the same as or better than only 0.2% of adults his own age. In other words, Lee’s intellectual abilities placed him in the bottom 1% of adults his own age. There is also a concern that Lee’s intellectual ability may at times have been overestimated, because his relatively better verbal skills may have masked his deficits in other areas. In March 2015, shortly before Lee’s death, a further Mental Capacity Act assessment was undertaken, at which both he and his family were present, after his family reported that he had returned to live with the people who were exploiting him. That assessment identified that he did not have the capacity to make decisions to keep himself safe when alone in the community. The assessment resulted in an exploration of supported living options, which were still being explored at the time of his death. I find it hard to understand why that behaviour did not set more alarm bells ringing about Lee’s welfare, given that his vulnerabilities were well documented. Again, given the circumstances in which Lee was living and the fact that his mother was already reporting that he was being financially exploited, I find that hard to understand. Tragically, given what was to happen later, the police actually attended the address at which Lee was being held between 28 May and 5 June 2015, when we know that Lee was inside the house and already injured. However, no search was conducted, despite Lee having been reported missing by his mother, her belief that he was at the house and the police being aware of the extensive criminal records of those living at the property, including for violent offences. “described the difference in the way professionals were able to respond to Lee as an adult as being frustrating and difficult to understand…Lee was…classed as an adult while his mental capacity remained that of a child”. “felt excluded from some of the key decisions about his care. They felt that some professionals excluded or disregarded them and that decisions about options for the ongoing care of their family member were made without their input. In particular, they express severe concern that despite their specific warnings about Lee’s living conditions at the home at Studdon Walk, the measures taken to protect him were unsuccessful. “Lee’s name can live on in the name of Lee’s law”. I look forward to hearing the Minister’s response to the recommendations and whether the Government can act on them to help ensure that the lessons from Lee’s case are genuinely learned across the country. There is one further aspect to the case that I find deeply concerning. James Wheatley was found guilty of murdering Lee in December 2016. His mother, Julie Mills, his then girlfriend, Nicole Lawrence, and Barry Imray, who also had learning disabilities, were found guilty of, or admitted to, conspiring to pervert the course of justice and causing or allowing the death of a vulnerable person. Wheatley was sentenced to a minimum 23-year term and the original sentences of Mills and Lawrence were increased after the Crown Prosecution Service successfully appealed them as being unduly lenient, with the support of the Solicitor General. I know that the family are grateful for that. “finding that the offences were not motivated by hostility is a finding of fact. Such findings are incredibly difficult…to challenge on appeal to the Court of Appeal, since I need to satisfy the court not only that the judge was plainly wrong, but also that it is in the interests of justice to overturn his finding of fact. I am aware that the CPS has recently published revised guidance setting out the factors to be taken into consideration when reviewing cases and prosecuting offences classified as disability hate crime. However, in Lee Irving’s case the issue was not with the police or CPS not recording or prosecuting the barbaric offences committed against him as disability hate crimes but that the judge could not be sure that, at the time of committing the offence, or immediately before or afterwards, the perpetrator demonstrated hostility towards Lee based on his disability, or that the offence was motivated by hostility towards people with disabilities—the threshold set in the existing legislation. That is concerning at a time when we know that disability hate crime is a significant issue. Mencap highlights that some 73% of people with a learning disability and autism responding to a 2016 Dimensions survey said that they had experienced hate crime, while recorded hate crime based on disability has increased by 44% since last year. The true extent of the problem is being masked by people with a disability or learning disability who are too scared or do not feel able to report incidents. I strongly urge the Minister to ensure that the Government look at this issue again, in the light of Lee’s case, although I am conscious that it is not within her departmental remit. I fully recognise that I have raised a number of wide-ranging issues this afternoon, many of which do not fall directly within the Minister’s portfolio. However, I am pleased to have been able to put on record the different, and very important, concerns that Lee’s mother has raised with me following her son’s death. Those ultimately responsible for Lee Irving’s horrific abuse and murder are now locked up in prison where they belong. Indeed, thanks to the intervention of the Solicitor General, some sentences were increased for being unduly lenient. However, the current legislation needs to be reviewed, because if Lee’s case could not be regarded as a disability hate crime, it is hard to know how the current threshold could be met. I have also outlined how important it is for adults with learning disabilities to receive the right care and support to enable them to live independent lives where that is appropriate. However, I have real concerns about the issues raised by Lee’s case, and the fact that those charged with safeguarding Lee—an extremely vulnerable adult—did not get the balance right between independence and protection. Nor does it appear that the many agencies that interacted with Lee shared information with each other about his vulnerabilities, or properly listened to or acted on the concerns repeatedly raised by his family, which might have resulted in Lee still being here today. It is critical that lessons are learned from Lee Irving’s case as quickly as possible, right across the country. I look forward to hearing from the Minister how she intends to ensure that that will be the case.